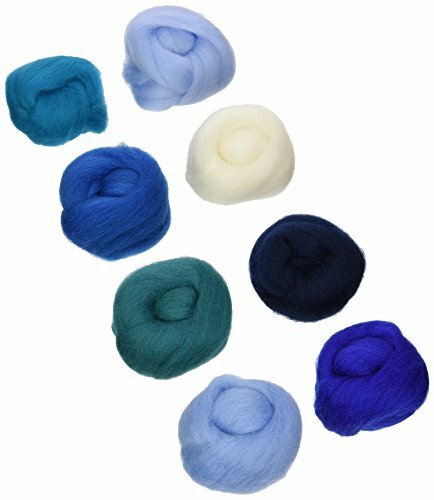 Wistyria Editions Ultra Fine 100 percent Wool Roving is perfect for needle felting, wet felting, hair, costume, wigs, weaving, spinning, locker hooking and more. This top quality roving has a beautiful luster finish, is very refined, contains no lumps or over-dyed areas and measures approximately 12 Inch long. This package contains 8 pieces of wool with a total weight of 25 ounces. Roving balls come in a handy reusable zippered pouch. It is an imported product. It is available in a the sea design.